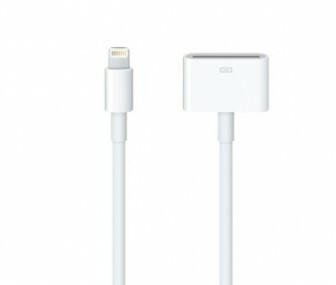 Along with the iPhone 5 and its refreshed iPod line, Apple introduced something else this week: Its new 8-pin Lightning connector. The change from the old 30-pin connector to the new format was expected, but that doesn’t make it any less of a headache for consumers. The Lightning connector leaves those who have products designed for the old connector needing to buy an adapter, ranging between $19 and $39, to use their old chargers and accessories with the iPhone 5. 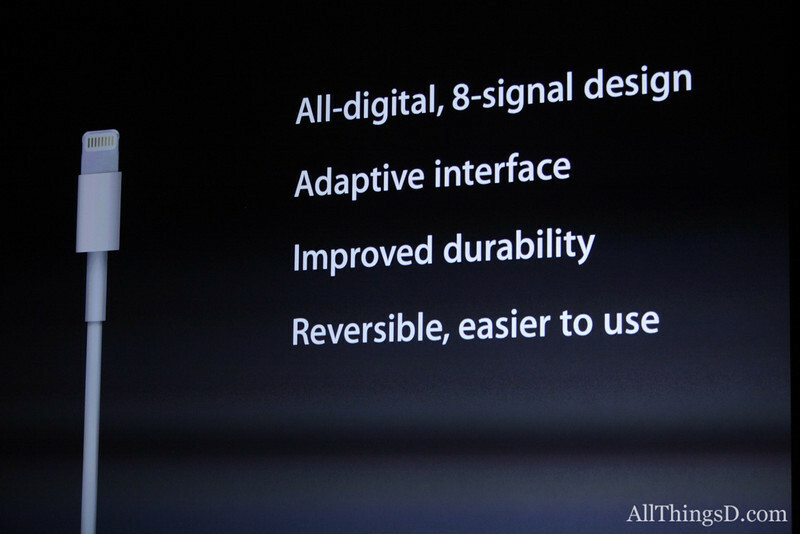 Even then, Apple says the adapter will not work with some products. It’s all a bit confusing and frustrating for iOS device users who have invested a lot of money into compatible accessories. So why the change? 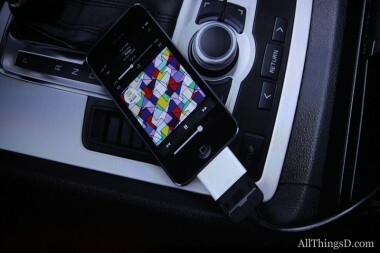 Which accessories will work with the iPhone 5 and new iPods? If you’re planning on purchasing one of these devices, here are a few things you need to know about the Lightning connector. 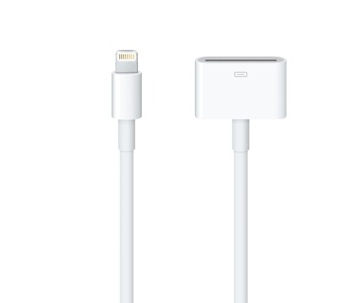 The Lightning connector replaces the 30-pin connector that’s been used on iOS devices since 2003. It uses an eight-signal adapter interface and is reversible, meaning you can insert it either way up. Like the old 30-pin connector, the Lightning port can be used for various functions, including charging the iPod or iPhone, syncing data and outputting audio to another device. Which devices use the Lightning connector? Currently, the iPhone 5 and the new iPod Touch and iPod Nano. In an interview with AllThingsD’s Ina Fried, Phil Schiller, Apple’s senior vice president of worldwide marketing, said that the company didn’t take the decision lightly, but in order to make its new iPhone and iPod thinner, it had to change the dock connector. The iPhone 5 marks Apple’s thinnest smartphone yet and is about 20 percent lighter than the iPhone 4S. And the new iPod and iPod touch are thinner still. Why didn’t Apple use the micro USB standard? After Apple came out in support of the International Electrotechnical Commission’s recommendation for a universal microUSB mobile charging standard, some had hoped that the company would do away with its proprietary ports. But clearly that’s not the case. Sure, it would have made many consumers happy, but there were some technical reasons behind the decision. 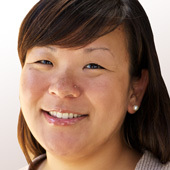 Of course, it also adds to the company’s bottom line and draws more people into Apple’s world. What are the advantages of the Lightning connector? Aside from the extra functionality, it’s 80 percent smaller than the 30-pin connector and reversible. 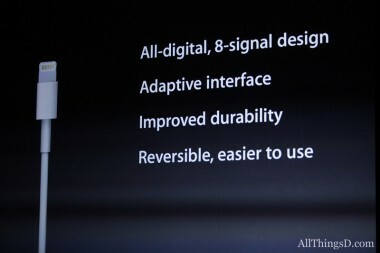 Apple says it is also more durable than its predecessor. The biggest disadvantage is that the Lightning connector will require an adapter to work with old accessories, and some products simply won’t be compatible at all. At $19 a pop for the Lightning to USB Cable, $29 for the Lightning adapter and $39 for the Lightning-to-30-pin connector cable, the accessories are not cheap, and they also don’t support all functions–particularly iPod out and video out. The current adapters only support analog audio output, USB audio, syncing and charging. Lightning-to-VGA and Lightning-to-HDMI cables will be available later, but for now, you won’t be able to connect your iPhone or iPod to an external display or TV to view videos or photos using the adapters. The adapter doesn’t make for a very elegant solution, but even worse, Apple says some 30-pin accessories are not supported. I can see this being a problem with accessories that use a cradle design. When will there be Lightning-compatible accessories? Hopefully, soon. During its press event this week, Apple said it was working with partners like Bose and JBL to support the new connector, but given Apple’s notorious secrecy, third-party accessory companies weren’t able to deliver final products in time for the iPhone 5 and iPod launch. Yang added that iLuv will deliver a full range of new accessories in the coming months. ILuv is also looking to build more products using wireless technology like Bluetooth to avoid the connector issue in the future, and some companies, like Jawbone, simply think the dock is dead. Will Apple change the connector again? Updated at 9:20 a.m. to include information about the Lightning to USB Cable.